Perry Block - Nouveau Old, Formerly Cute: A Ricky Gervais Pesach! Seems to me British comedian Ricky Gervais was a strange choice to host the 68th Annual Golden Globe Awards. If the honchos who run the Golden Globes didn’t want somebody unafraid to push the envelope, they could have picked me. Personally I’m scared to death to push the envelope, especially if I think it might contain money. 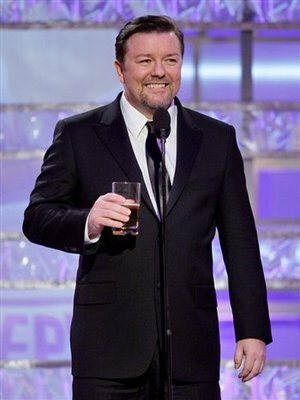 Whether you think Mr. Gervais is one of the most talented comedic minds to come along in years or a flat out jerk (or both), inviting him to host the Golden Globes was sort of like inviting him to host your Passover Seder. And who the heck would ever do that? Now before me is the Seder Plate, and round the plate are symbols of Passover. We partake of the Bitter Herbs to remind us that the bitterness of slavery was almost as bad as having to sit through The Tourist. We eat the mixture of apple, nuts, and cinnamon known as Charoses to remember the mortar used to build Pharoah’s pyramids when the Jews were in captivity --- something Robert Downey Jr. is very familiar with. And the Roasted Shankbone from a Lamb is meant to signify Sara Jessica Parker’s profile. Early in the Seder, I’ll break off a piece of matzo, wrap it in a napkin, and hide it. 'What’s it all about Afikomen?' you ask. Well, all the children look for the matzo, and the one who finds it gets a dollar! And yes, Demi Moore: Ashton Kutcher is eligible to participate! The Afikomen could be anywhere in the house. Behind a bookcase, under a pillow, or even in Cher’s cleavage. What a lesson for Hollywood! You can always make money by reaching in for something old, repackaged, and done to death! 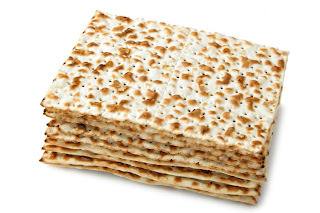 1) On all other nights we eat either leavened or unleavened bread, but on this night we eat only unleavened bread to remember how flat Robert De Niro’s jokes fell. 2) On all other nights we eat any type of herb, but this night we eat only bitter herbs. No, I’m not talkin’ about The Tourist again! 3) On all other nights we do not dip even once but on this night we dip more often than Tim Allen’s career. 4) On all other nights we eat sitting up, but on this night we eat reclining so Charlie Sheen doesn’t have to feel any different from the rest of us. Next we’ll tell the story of the Exodus from Egypt itself, recounting each of the Ten Plagues --- otherwise known as any random ten minutes from Tracy Morgan: Black and Blue on HBO --- and culminating in the Parting of the Red Sea, something which Bruce Willis wishes he could do with his hair. By the way, some of the actual plagues --- blood, pestilence, darkness, wild beasts --- sound like something straight out of a disaster movie. No, I’m not talkin’ about The Tourist again! Then it will be time for us to open the door to welcome the venerable and centuries-old Elijah the Prophet to our Seder. I don’t want to say that Elijah is long in the tooth, but when it comes time to let him in, Hugh Hefner better not turn his back on Crystal Harris. That cup of wine on the table for Elijah might not be the only thing that's going down! Blessed art Thou, 0 Lord our G-d, for makin' me an atheist. Except for tonight, when being a Jew is the best thing going because all this stuff LOOKS AND SMELLS FANTASTIC! L’Chaim! And wake the hell up, Charlie Sheen!" You are so twisted. I like that in a superhero. I loved this Perry!! That Golden Globes ceremony was uncomfortable, wasn't it!?! I have learned more about Jewish tradition than I ever asked. Is Charlie Sheen still alive? Poor Tim Allen's career. I didn't know he was Jewish. I kind of wish I has watched the Golden Globes now. I am twisted? I always behave at Seders, unlike Mr. Gervais. 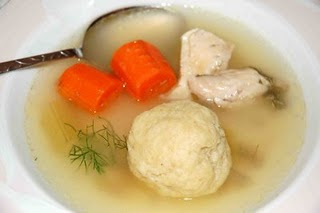 Alright, I do start throwing matzo around like frisbees when I don't find the afikomen. But I've never attacked Cher either verbally or physically. A superhero? Ehh, we'll see how the tights come out of the dryer. Yes, the Golden Globes were very uncomfortable because you and I were again not recognized for writing! I think it was Mr. Gervais' empathy for us that unleashed his scathing tongue. Oh, well! Next Year in Southern California! Yes, I have taught you much about the Jewish religion. But how do you know I am teaching you the truth? I may be fabricating some of the information to have fun with you. For example, that bit about so-called "circumcistion." You bought into that! What people would do something like that to their children! Preposterous! I love having fun with naive folk such as yourself! Tim Allen isn't Jewish. Nor is anyone else in the piece above except that Sara Jessica Parker is half-Jewish. P.S. But I still love you, Melanie! And your last name Sherman could be Jewish.